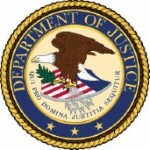 Updated: The United States Attorney’s Office for the Middle District of Pennsylvania announced Wednesday November 19, 2014 that United States District Court Judge Matthew W. Brann sentenced Macey Geyer, age 42, of Castanea, Clinton County, to two years’ probation and ordered her to pay $9,230 in restitution for misappropriation of postal funds. According to United States Attorney Peter Smith, Geyer took over $9,000 in postal funds from the Castanea Post Office. Geyer, who began her employment with the United States Post Service on June 23, 2007, served as Officer-in-Charge at the Castanea Post Office. The Postal Service terminated her employment in April 2014. CASTANEA — A former postal worker in Clinton County plans to plead guilty to stealing from the post office. Federal prosecutors accuse the woman of embezzling thousands of dollars from the post office she used to run in Castanea. Newswatch 16 spoke with people in the community who only had nice things to say about the woman. The post office is one of the busiest places in Castanea, a community just outside Lock Haven. Macey Geyer started working at the post office back in 2007. Now federal prosecutors accuse her of stealing more than nine-thousand dollars in postal funds. Read more: Community Shocked by Charges Against Postal Worker | WNEP.com. Stealing and fighting are just about the only 2 situations that get you fired from the Post Office! not true … they will fire you for anything at usps! It’s mostly political! Probation, restitution, termination, but the only deterrent needs to be incarceration. Is that how a normal person thinks? Of course not! The problem with your solution is that people like this don’t think they’ll get caught! It’s as simple as that. I don’t care if you want to give them the death penalty- if they don’t think they’ll get caught, they’ll still commit the crime. Save me the tough guy crap- all you achieve by throwing petty criminals like this in prison is raising my taxes (and offering them the opportunity to learn the tricks of the trade from REAL criminals!). Consider this- if they’re on probation, they can be forbidden from associating with criminals. If they’re in prison, they are forced to associate with known criminals 24/7! Give them probation and let them figure out how to pay for their own room and board.